Vicar of Baghdad visits the Diocese of Bangor | News by Wales Express News, People Before Profit! Following the visit from Dr. Rowan Williams, a previous Archbishop of Wales and Canterbury, the Diocese of Bangor is looking forward to welcoming another well-known and significant figure in the Anglican Church. 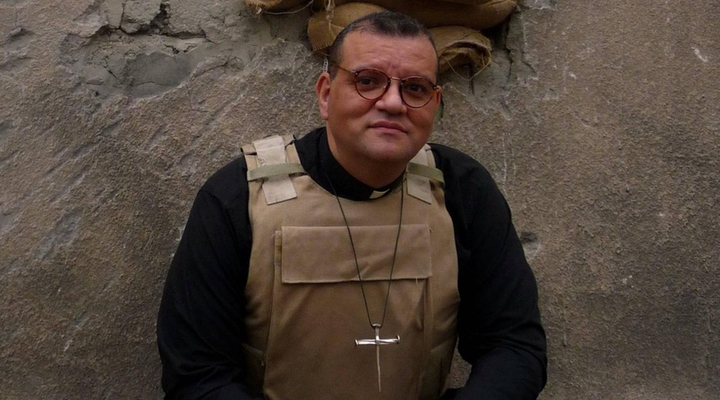 Canon Andrew White, who is vicar of St. George’s Church, Baghdad, in Iraq, will be taking part in events in Bangor Cathedral and Llangefni on Saturday, May 6 and Sunday, May 7. Canon Andrew was Director of International Ministry at the International Centre for Reconciliation at Coventry Cathedral, before he began to go to St. George’s Church in Baghdad in 1998. St. George’s has since become a centre for reconciliation and aid. Canon Andrew became renowned as a negotiator and reconciler in some of the most difficult situations in the Middle East. He has been subject to threats on his life, and at one time needed up to 35 guards in order to carry on with his work and ministry. At present he is not able to be in Baghdad because it is considered too dangerous for him to be present there, and he is also suffering from Multiple Sclerosis. Despite this, he remains a captivating speaker, who is much in demand. 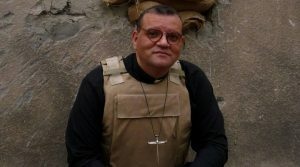 Looking forward to Canon Andrew’s visit, the Bishop of Bangor – the Right Reverend Andy John – said, “There are times when names and places go together, and Canon Andrew White and Baghdad is an example of this. Canon Andrew has never flinched in standing up for the love of God in Jesus, and his desire to share that love. The fact that unscrupulous characters have seen him as a threat is testament to Canon Andrew’s incredible ministry of reconciliation. Canon Andrew is a fearless and courageous priest who has succeeded in bringing Jesus’ peace and love to desperate situations in the face of hostile opposition. Previous articleIconic Slateman Triathlon Sells Out Yet Again!